Eventually, the Meralta closed down completely. (I forget the exact sequence of events, but I think earthquake damage was involved.) With the advent of multi-screen theaters, the single-screen Avenue was turned into a discount theater, where you could still see two movies in a single night, for just a couple of dollars. The beautiful old theater with the full stage became run-down, the floors were sticky, and going to the bathroom brought back memories of that scary scene in The Witness. But you didn't have to worry about the lack of stadium seating, because there was always plenty of room to move if some guy with a hat sat in front of you. Now, the Avenue is closed down completely. The city is talking about gutting it and putting in low-income housing as part of the downtown revitalization program. 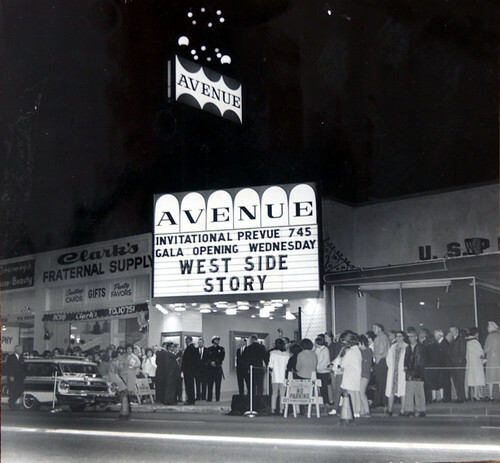 And of course local residents are petitioning to keep the Avenue, opened in 1922, and turn it into a theater for indie films, festivals, lectures, and so on. 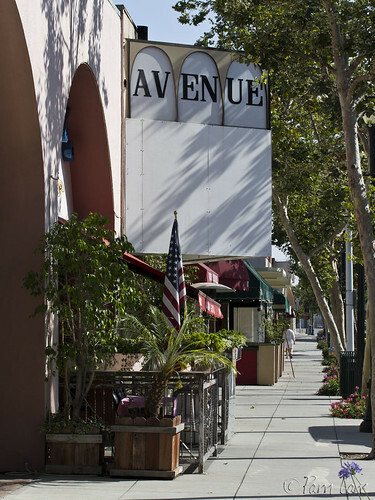 I'm hoping the Avenue stays, and turns into a walk-worthy downtown Downey destination again. This is such a beautifully written commentary, both reflective and nostalgic (the good kind)that it makes me think twice about that run-down building on Downey Ave. Sometimes remembering how things used to be helps us to envision what they could be again. Nice job.